Delgado-Baquerizo et al. 2019. 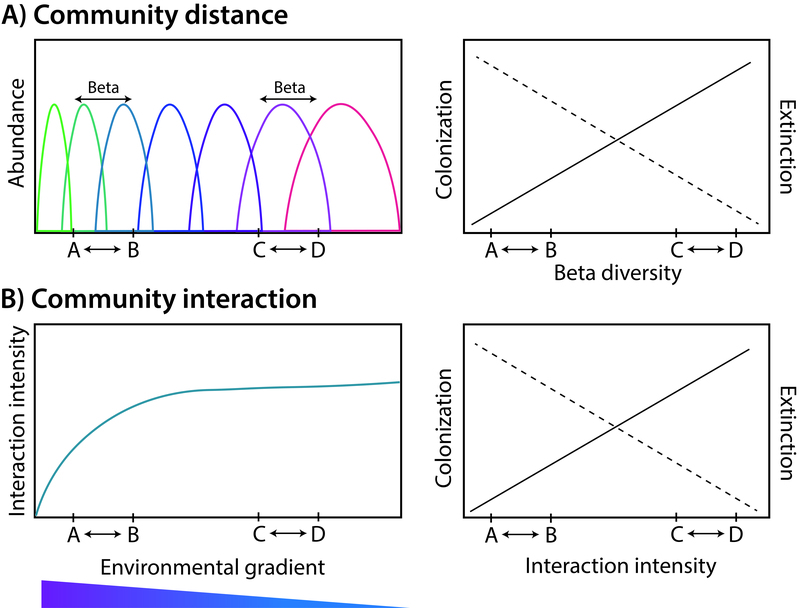 Changes in belowground biodiversity during ecosystem development. PNAS. Wardle et al. 2004. 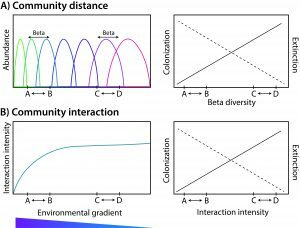 Ecological Linkages Between Aboveground and Belowground Biota. Science. 304, (5677), 1629-1633. Adair et al. 2019. Above and belowground community strategies respond to different global change drivers. 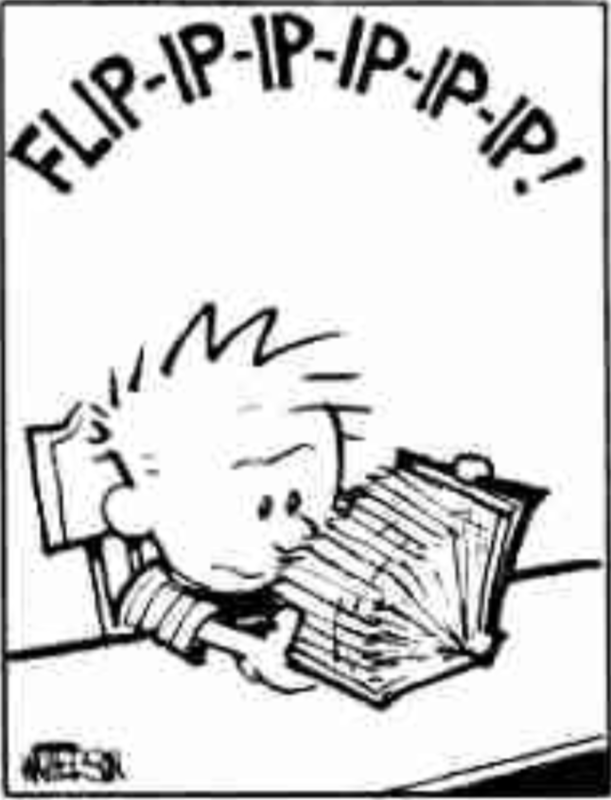 Scientific Reports. 9: 2540. Dieser Beitrag wurde unter Allgemein, Reading abgelegt am 25. März 2019 von aud. This is the story of how we organized our TraitTrain courses and what we learnt from our mistakes. With TraitTrain we want to strengthen research and educational collaborations over climate change and ecosystem ecology by organizing courses for students on how to measure plant functional traits and at the same time offer the students a relevant research experience. In the first part I explained how we organized the collection of the leaf traits, the so called trait wheel. Here, I want to talk about the 3rd step in the trait wheel: scanning the leaves. Leaf area is a common measure of leaf size and is usually very plastic to climatic variation and/or stress. Leaf area is also important because it is used to calculate SLA (specific leaf area). To calculate leaf area, a leaf is scanned (for details see Pérez-Harguindeguy et al. 2013) and the scan is then run through a program such as ImageJ, which calculates the area of the leaf. We use ImageJ via the r package LeafArea. All of this should be easy, except it wasn’t. On the course each student had a laptop, which we then connected to the scanners. We usually have 4-5 scanners, because this is a time demanding job. On the TraitTrain courses, we have students from all over the world and they come with all sorts of laptops (brands, operating systems and settings). The instructions said to scan the leaves with specific settings (e.g. 300 dpi). For some reason, the scans from people with different settings on their computers (A4, letter,…) resulted in different leaf areas. We are still not sure how this happened, because when you set the resolution, the size of a scan should not make a difference. The second problem was that many pictures had black edges around them (see picture 1), which was added to the leaf area. 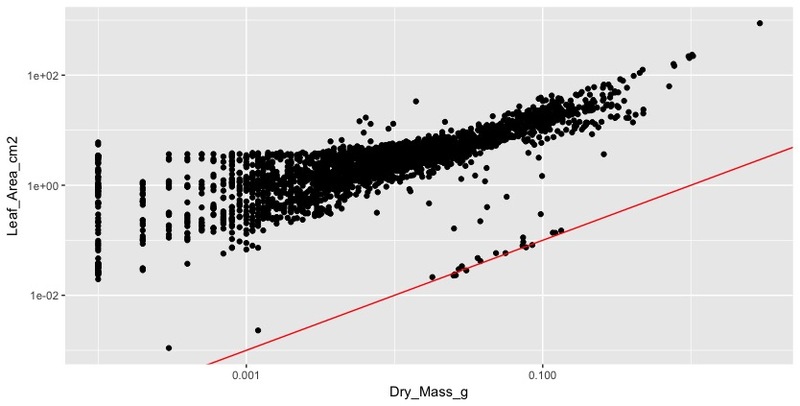 We did not understand this until we plotted leaf area against dry mass, which should be a more or less linear relationship. Instead the plot looked like a chicken foot (this expression might also have been inspired by all the chicken feet that were swimming around in our hotpots). It tooks us a while to figure this out and we had to look at each individual scan to make identify several of these problems. Top: Dry mass (g) plotted agains leaf area (cm2). Bottom: Leaf scan, where the edge has a black line. How did we solve these issues for the next courses. First of all we wanted to make the scanning a standardized process and not dependent on the settings of peoples laptops. We bought a couple of raspberry pi’s, which operated the scanners. We used the laptops as screens and keyboards to operate the scanner and pi’s. Second, we implemented a couple of checks. The pi automatically checked if the scanning settings were correct (resolution, size, colour depth, file type), if the person scanning the leaf had typed in the correct LeafID and if the scan was saved in the right place. If you are interested in how we set up the pi and scanner, all the scripts we used is available on github. We also realized that for checking the quality of the data and finding errors, we need a size reference on each scan. For this we added a ruler to each scanner (ruler glued to each scanner; see picture 2), which allowed us to directly check if the leaf area was calculated approximately right. This turned out to be very useful. One problem that occurs is of course you do not want to have the ruler on the scan when you calculate leaf area. The LeafArea package allows to cut a certain amounts of pixels on each side of the scan. This is very useful and also solves the problem with the black lines. The problem was now that we could only cut the same number of pixels on each side. But what we wanted was to cut more on the side where the ruler was added and less on all the other sides of the scan. For this we customize the run.ij function in the LeafArea package. If you want to use our customized run.ij function, run this code first in r devtools::install_github(„richardjtelford/LeafArea“). Then the run.ij function has an argument “trim.pixel2”, which allows to cut more pixels on the right side of the scan. Leaf scan including a ruler as reference on the top. Visual inspection of each scan turned out to be essential even by optimizing the scanning process. It is important to check the right number of pixels are cropped before calculating the leaf area, you can check that the full leaf is scanned and you can detect folded leaves. By checking each individual scan, we also found that some of the scans were really dirty. This happens, when working with plant material that comes from the field. And now, we tell the students to check and clean the scanner often. And finally, grasses can be difficult, because they tend not to lie flat on the scanner. They curl. Here, the answer was to use transparent tape to glue the leaves onto the scanner. Dieser Beitrag wurde unter Allgemein abgelegt am 24. Februar 2019 von aud. TraitTrain is a group of plant ecologists from the Universities of Bergen in Norway and Arizona (USA). We want to strengthen research and educational collaborations over climate change and ecosystem ecology. We are organizing courses for students on how to measure plant functional traits and at the same time offer the students a relevant research experience, i.e. by being part of a real research project and collecting real data. Being part of a projects is more motivating for students than collecting “dummy data”. This is a challenging goal and does not always work out. Here, I want to explain how we organize these courses and what we learned from our mistakes. In a couple of next blog posts, I want to discuss how to ensure data quality, technical problems and solutions, next steps and unresolved problems. What is the big deal with organizing a course with a couple of students? There is nothing special about that, and hundreds of people have done this before. The special thing with our courses was, that we did not only want to teach about traits and climate change ecology; we also wanted to collect a publishable data set. And this is where it gets tricky. The good thing about all the students is that a huge amount of data can be collected in a short time. The downside, it can go horribly wrong and instructions need to be given very explicitly to collect the data in a standardized way. The problems can be passed along from one student to the next and errors accumulate. The basic principle of measuring leaf traits is to go to the field, collect plants, bring them back to the lab where traits are measured (see video below): plant height, wet mass, leaf area, thickness. Then the leaves are dried and weighed again for dry mass. From the dry leaves, chemical traits for example carbon and nitrogen content can be measured. To get a decent data sets, you need trait measurements from different species, leaves and locations, and you will end up measuring hundreds of leaves. 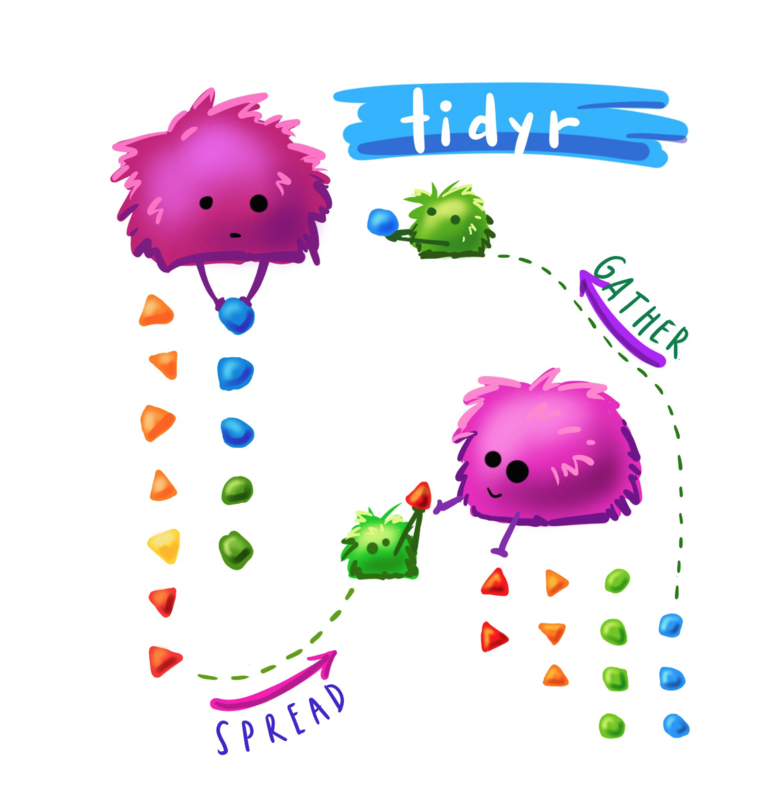 A tedious task! Our first strategy was the trait wheel, which has turned out to be very useful. The trait wheel is organizing the different trait measurements in separate stations and each leaf has to go through each station in a fixed order. And each station is manned by several students. We followed the trait handbook by Pérez-Harguindeguy et al. (2013) and I am not repeating the basics of plant collections and trait measurements. Rather, I will highlight useful tips that we learnt from our mistakes. The first step (not yet a station), is to collect the plants or leaves in the field. Where and how to collect leaves is important, but I will not go into detail here. This step depends on your research question and there are some useful guidelines on sampling strategies in the trait handbook. It is useful to measure plant height already in the field (unlike in the video!). Measuring plant height in the lab works well for “stiff” plants. But for plants that bend easily (e.g. grasses) it is hard to get the plant height right after the plant has been picked from the ground. We also found it useful to use a separate plastic bag for each plant. Yes, we used a lot of bags (we cleaned and reused the bags), but all information (date, site, species, height, collector, etc.) can be written directly on each bag and fewer plants get lost and information lost. When a leaf arrives in the lab, it goes to station nr. 1 the preparation and labelling. Here, the plants are identified (if this has not already happened in the field), the leaves selected, put into an envelope and labelled. This is a crucial step and people with species identification skills are needed. Leaves that are labelled wrong or go in the wrong bag are difficult to fix later. Another point is to make sure, that each envelope is labelled with the necessary information. We learnt that even if you have to remember to note down the same 5 things, it is hard, and students (and professors) forget to write crucial information on the envelopes. To help the students to remember all information, we preprinted labels with blanks and boxes (see Photo). We used sticky labels that could be easily glued to each envelope. At each station, the data is entered or boxes are ticked. This reduced a large amount of errors. The preparation and labelling station is also when you decide how much plant material goes into one envelope. Usually one leaf is enough, but if the leaves are very small you might want to go for a bulk sample (several leaves from one individual). The amount of plant material is important for the chemical analysis where a certain amount of plant material is needed. Plan this step ahead and make sure you know how much plant material you need (dry weight!). The next station is nr. 2 wet mass. This is not a particular difficult task. The important thing here is to have a balance that measures your leaves with sufficient accuracy. This is again important for small leaves, for example in arctic and alpine habitats. Station nr. 3 is scanning leaf area. A leaf is scanned using a normal scanner, and the area calculate using a software like ImageJ. It is important to scan the leaves upside down, scan the whole leaf (large leaves can be cut), keep leaves flat and not rolled (tape can be used to keep leaves flat) and not scan other things (e.g. cables, tissues; see photo). Keep the scanner clean at all times, because large dust and dirt particles will be counted as part of the leaf. And finally, have a ruler (to measure size) on each scan as reference object. There will be a separate blog post on the scanning process. Different problems with leaf scans. Station nr. 4 is measuring leaf thickness. A digital caliper should be used and this step will take a lot of time. It is good to have 3-4 people working on this at all times. Next the leaves go into the drying oven and are weighed again (dry mass; same as station nr. 2). This step can be done later and this was usually done after the course. Station nr. 5 is data entering. It is useful to enter the data right away and more importantly check the data. If data is missing or values are wrong (e.g. too high or small), a leaf might be reweight or measured if it has not been dried yet. Prepare the data entering sheet beforehand. There will also be a separate blog post on data quality checking. Here are some last words on organizing the trait wheel. The students should work on one station for a while but make sure to rotate, so that everybody works at each station. It is important that the boss/teacher/organizer has the overview of the trait wheel! Who has worked on which station, who goes to the field, when do the students rotate. The leaves should be kept moist until drying, because they should be as fresh as possible. We had a box with moist paper in a plastic bag at each station, where the envelopes were kept moist. Further, it is not advisable to process too many leaves at the same time. It is important that each station is manned at all times, and slow stations need more people. Leaves should not be lying around between stations for too long. Towards the end of the day, the first stations have to stop to make sure that all leaves go through the trait wheel on the same day. Leaves can be kept moist overnight, but it is better to finish them. Our courses are rather intensive and repetitive for the students. We try to make the course more diverse by giving lectures, have student presentations and give them a day off (very important!). One crucial thing is that the students understand each step of the trait wheel (i.e. what trait is measured and why). Ideally, the students do not see this data collection as a boring and repetitive task, but they think for themselves and report errors and fix them. For this, the students need to be motivated, interested and understand the importance of functional leaf traits, data quality and large data sets. Dieser Beitrag wurde unter Allgemein abgelegt am 1. Februar 2019 von aud. Cooper et al. 2018. Genotypic variation in phenological plasticity: Reciprocal common gardens reveal adaptive responses to warmer springs but not to fall frost. Glob Change Biol, 25:187–200. Forest and Thomson. 2010. Consequences of variation in flowering time within and among indiviuals of Mertensia fusiformis (Boraginaceae), an early spring wildflower. American Journal of Botany 97(1): 38–48. Khorsand Rosa et al. 2015. Plant phenological responses to a long-term experimental extension of growing season and soil warming in the tussock tundra of Alaska patterns. Global Change Biology,21, 4520–4532. Zhang et al. 2017. New insights on plant phenological response to temperature revealed from long‐term widespread observations in China. GCB. Arnold et al. 2018. How to analyse plant phenotypic plasticity in response to a changing climate. New Phytologist. Dieser Beitrag wurde unter Allgemein abgelegt am 29. 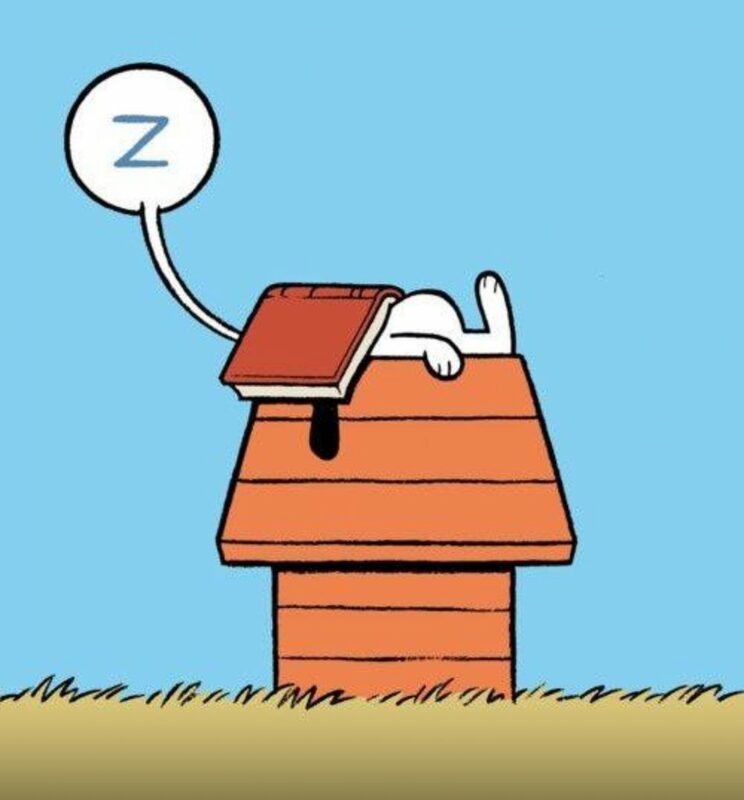 Januar 2019 von aud. Dieser Beitrag wurde unter Allgemein, Reading abgelegt am 14. Januar 2019 von aud. Carver, R. E., 1980. REDUCING SAND SAMPLE VOLUMES BY SPOONING. Journal of Sedimentary Research (just because of the title). Dieser Beitrag wurde unter Allgemein abgelegt am 6. Januar 2019 von aud. Recently, I came across an article about mortality and survival in Game of Thrones (GoT). The study is published in Injury Epidemiology, examining the survival of 330 main GoT characters, sociodemographic factors, time to death, and circumstances of death. They find that mortality risk is high and characters are more likely to die if they are male and lowborn. The article is a great read including humorous aspects. I started to search for other GoT research and found astonishingly many articles. And there is probably more! Fight, flight or finished: forced fitness behaviours in Game of Thrones by Rhodes and Zehr discusses the forced fitness behaviours and associated hormonal responses in GoT. Figure from Rhotes and Zehr 2017. The purpose of the study from Daniel and Westerman (2017) is to determine how people reacted to the end of a parasocial relationship per a character death, by analysing Twitter reactions after the death of fictional character Jon Snow from Game of Thrones. They found that we may respond to a television character’s death in some similar ways as a real person’s. Jules and Lippoff (2016) investigate the dermatological deaseas called Greyscale and compare it to the Hansen disease, or leprosy. And finally, Clapton and Shepherd (2017) show that cultural texts such as GoT can show us different ways of thinking about the world. Clapton, W. and Shepherd, L. J. 2017. Lessons from Westeros: Gender and power in Game of Thrones. Politics. 37(1) 5–18. Daniel, E. S. and Westerman, D. K. 2017. ValarMorghulis (All Parasocial Men Must Die): Having Nonfictional Responses to a Fictional Character, Communication. Research Reports, 34:2, 143-152. Jules B. and Lipoff, M. D. 2016. Greyscale—A Mystery Dermatologic Disease on HBO’s Game of Thrones. JAMA Dermatol. 152(8):904. Rhodes, R. E. and Zehr, E. P. 2017. Fight, flight or finished: forced fitness behaviours in Game of Thrones. Dieser Beitrag wurde unter Allgemein abgelegt am 24. Dezember 2018 von aud. SoilTemp is a new project initiated by Jonas Lambrechts and collegues to create a global soil temperature database. The goal is to make soil temperature data available to scientist, increase and facilitate collaborations across projects and synthesise microclimate data on a global scale to answer key ecological questions. 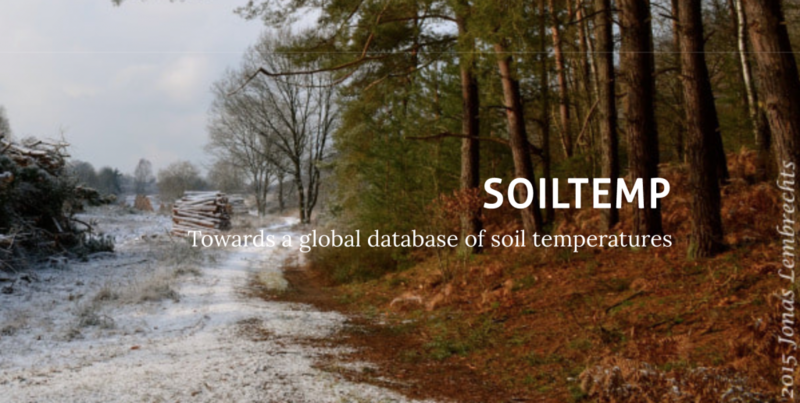 SoilTemp has recently launched a webpage, where information regarding the data, project updates and future publications can be found. So far they have collected For 1867 temperature sensors from 11 countries, from sea level till 6194 meter above the ocean, and covering more than a decade. And the collection is ongoing. SeedClim has already provided their long-term (10 years) of soil temperature data. TransPlant, our Chinese Collaborators will follow. Dieser Beitrag wurde unter Allgemein, Networks abgelegt am 12. Dezember 2018 von aud. 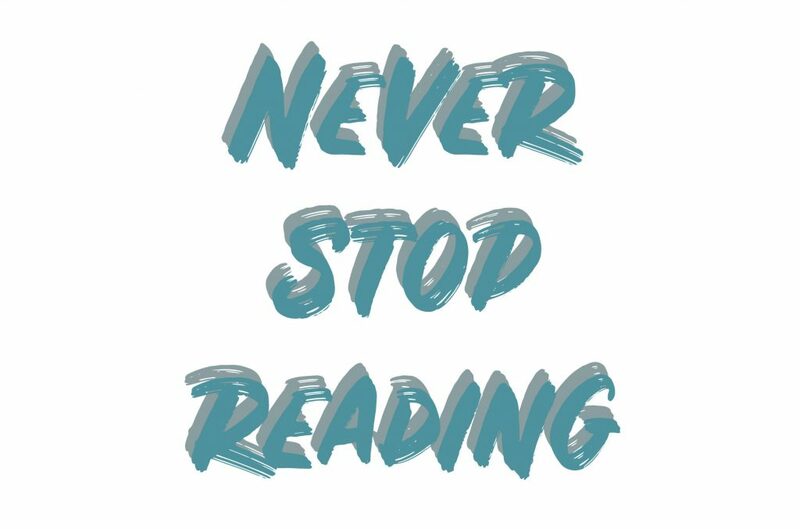 I love the R art by Allison Horst, @allison_horst. Dieser Beitrag wurde unter Allgemein, R code abgelegt am 26. November 2018 von aud. Playing with illustrator to make a conceptual figure for THE seedclim paper. Dieser Beitrag wurde unter Allgemein, Papers abgelegt am 22. November 2018 von aud.